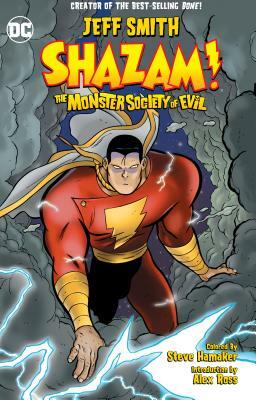 Young orphan Billy Batson finds himself wielding truly amazing magic powers - just in time to face an invasion of alien and earthly monsters! All he has to do is say the magic word. Shazam! Jeff Smith launched Cartoon Books in 1991 to publish his comic book Bone, a comedy/adventure about three lost cousins from Boneville. Word of mouth, critical acclaim, and a string of major awards helped propel Cartoon Books and Bone to the forefront of the comic book industry. In 2005, Scholastic published the first ever full color version of the book Bone: Out of Boneville, bringing the comic book to a whole new audience and new generation.